December 14 th, Dance As if No One is Watching and 9 Other Tips – What's for dinner, Doc? 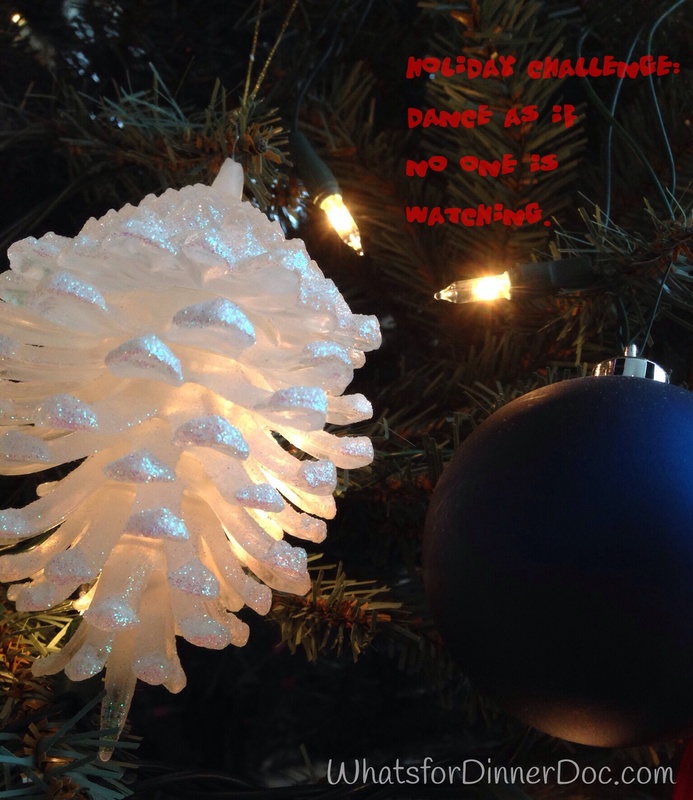 Holiday Challenge: Dance as if no one is watching. Having trouble keeping your Maintain Don’t Gain promise? Maybe these strategies will help. 1) Crank up the holiday music and dance as if no one is watching. Close the drapes just in case. If you need dance ideas then watch RuPaul’s Drag Race, those queens have to “Lip sync and dance for their lives”. 2) Put cat food in your jello salad; a calorie bargain. No, I don’t have the recipe but watch “Christmas Vacation” and Aunt Bethany will show you how’s it’s done. 3) Organize a neighborhood “Griswald Christmas 5K” unless your exterior illumination is subpar then jog by yourself and make snide comments about the neighbors’ electrical bills. 7) Watch “Four Christmases” and then practice your cage fighting moves on your sister. 8) Aerobic gift wrapping. Drink 3 espressos and get’r done. You know that you aren’t even close to finished. Just do it. 9) Take a vow to only eat food that you have harvested or killed with your bare hands. Also known as a Paleo Diet. 10) Learn to ice skate, the outfits are cute. Hello! The Ice Capades are calling. Available on Amazon and I get a few cents if you buy something. Previous Post December 12th, Make a Cake and Eat it Too. Ha, love it. Love Christmas Vacation. I am doing so much baking for gifts, the good thing is I don’t really eat much of it need it all to put in gifts, I purposely only make what I need. Keeps me from indulging. I’m also so busy with work I run around a lot, climb a lot of stairs, walk to my appointments rather than take a car, bicycle when I can. Trying to keep the weight off.